ETSU's campus-based session of The LeaderShape Institute took place on May 8-13, 2017. 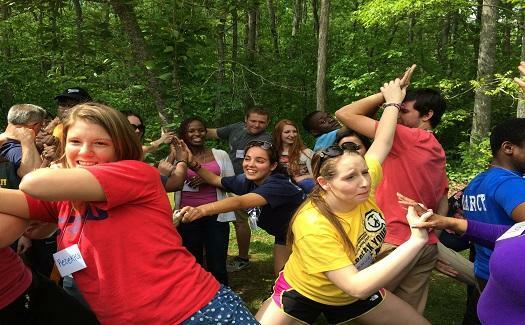 Click the image above to learn more about LeaderShape at ETSU! Emerging Leaders Academy students participating in our weekend Advance. What level leader are you? Click below to see what ETSU offers to student leaders. Applications now available. Use the linke below to nominate a student or apply as a student for the ELA Class of 2019! Nominations are due by Friday, September 21st and student applications are due by Friday, October 5th. "I realized my voice, although quiet, is very powerful!" "I learned that the loudest idea isn't always the best idea." "This is an amazing program. I have learned so much that can be applied everyday in my life." "This has given me a better insight to leadership, and the motivation needed to be a good leader and motivate others." "Had I not participated in ELA, I would not be the whole person I feel I am today. Without learning important person, academic, and leadership skills, I would not feel as prepared as I do now." "ELA is amazing. It helps you grow as a leader but also as a person. It helps you create lasting friendships and connections. Without ELA, I would never truly understand what it means to be a servant leader." For Emerging Leaders, we offer the Dr. Brenda White Wright Emerging Leaders Academy, an eight week program that includes an overnight Advance and eight weekly sessions that focus on topics such as stress/time management, communication, ethics/values, and conflict resolution. This program is designed for students that have not held a leadership position on campus but are interested in getting involved. Each class of Emerging Leaders consists of 20-30 students who are nominated by faculty, staff, or other current students. For Current Leaders, in the past we have offered a Student Leadership Conference in partnership with the Tennessee Board of Regents. More information can be found by clicking here. 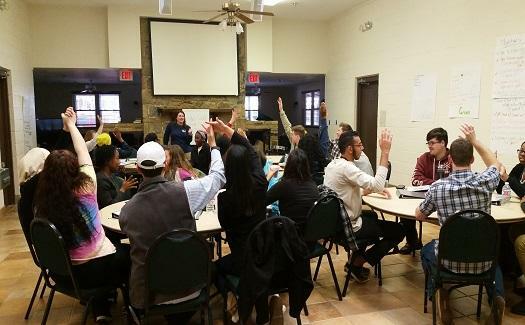 For Advanced Leaders, in the past we have hosted The LeaderShape Institute, a 6 day, 5 night intensively fun leadership experience that's mission is "to be a part of creating a just, caring, thriving world." LeaderShape promotes team building, developing leadership skills, creating a vision for the future, and leading with integrity. Participants spend time reflecting, sharing, listening, and participating in activities and simulations in small and large groups. The LeaderShape Institute provides an energized and interactive environment where everyone acts as a teacher and learner. The SORC, in partnership with other units from the Division of Student Life and Enrollment, offers a series of Leadership Development opportunities for students interested in evolving and maturing as a leader. For more information about Leadership Programming at ETSU, email lead@etsu.edu.